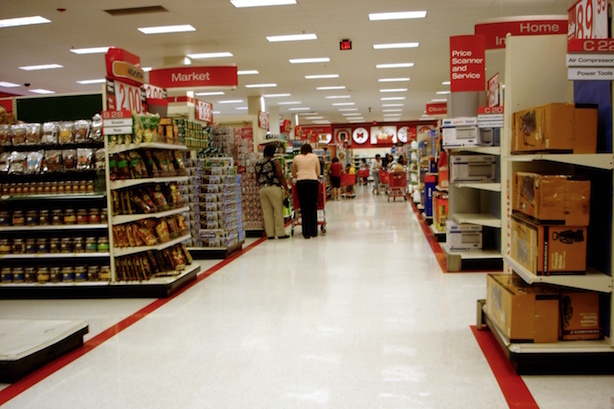 Target to test in-store customer-tracking program; Netflix to give new parents up to a year off; FBI looks into Clinton email server; SEC to vote on CEO pay transparency; Fox News announces debate lineup. 1. Target is rolling out a pilot program in 50 stores that would track customers’ in-store locations and offer them deals and other bonuses. The retailer is testing the program in seven markets, according to BuzzFeed. 2. Netflix is giving staffers who are new parents up to a year of paid time off, in a move proponents hope will spur other companies to do the same. Meanwhile, at White House Demo Day, President Barack Obama encouraged more diversity in Silicon Valley. 3. The FBI is looking into the security of Hillary Clinton’s private email server. It has also contacted her lawyer asking about the thumb drive that contains copies of work emails she sent during her tenure as secretary of state, according to The Washington Post. 4. The Securities and Exchange Commission could vote on Wednesday to implement new rules that would force public companies to reveal the pay gap between their CEOs and rank-and-file employees. 5. Fox News has revealed which 10 candidates will be on the stage on Thursday night for its prime-time debate. Ohio Governor John Kasich clinched the last spot, forcing former Texas Governor Rick Perry onto the undercard. 6. The New York Times and Fortune are both looking back at their favorite moments from Jon Stewart’s run hosting The Daily Show. Earlier this year, PR pros talked about the "nerve-wracking" experience of placing a client on the program. 7. President Obama is kicking off a private and public push backing the nuclear deal with Iran reached last month. In a speech at American University today, he is expected to cast it as the US’ most important foreign policy decision since the Iraq War vote in 2003 and reference America’s history of contentious negotiations with the Soviet Union.